LOWEST LIFE INSURANCE RATES AVAILABLE! We have the experience, knowledge and access to find the life insurance company that will look most favorably at your situation and provide you the best term life insurance rates. Having access to over 60 life insurance companies puts us in a position to offer the best rates available. We work on behalf of YOU and offer the company that will provide the best coverage at the lowest possible cost. We have implemented “e-signature” technology with most of our life insurance carriers. You can sign your life insurance application online! No paperwork required. We know (and you know) that you need life insurance. We also know from speaking with thousands of consumers just like yourself that you want term life insurance rates cheap and you want coverage from a reputable company. We get it.... and we're glad you found us. 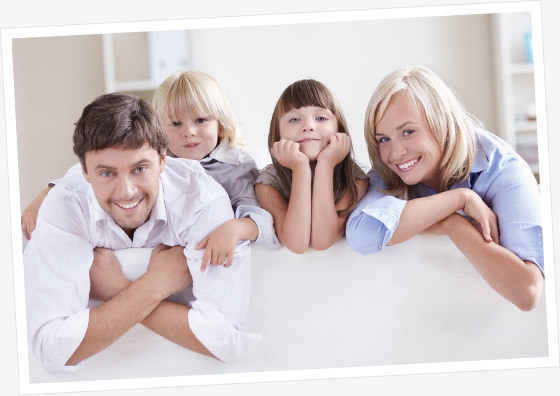 We have the experience, knowledge and access to find the life insurance company that will look most favorably at your situation and provide you the best term life insurance rates. We aren't a call center, we aren't the annoying friend asking you to buy insurance - We are a team of life insurance experts who use our knowledge to offer the best life insurance rates available. Having access to over 60 life insurance companies puts us in a position to offer the best rates available. We are independent contractors for these companies so we don't work for them. We work on behalf of YOU and offer the company that will provide the best coverage at the lowest possible cost. You can read about some of the best life insurance companies HERE or check out life insurance by state HERE. Our technology allows us to be more efficient than any other agency in our industry. - We have implemented "e-signature" technology with most of our life insurance carriers. Which means you can sign your life insurance application online! No paperwork required. We'll complete your application over the phone and send it to you via e-mail for an "e-signature" and walk you through it. - You'll be able to view your quotes via a live "screen share" OR we'll email you a "video link" recording specifically for you so you can see the top companies available for you. (For more information, scroll down) We've achieved 100% transparency with our recommendations. So what exactly do we do for you? We use our quoting technology to see every life insurance company's rates and then use each company's underwriting guidelines to find the company that will give you the lowest term life insurance rates. If you prefer to be a self learner we provide details for understanding term life insurance quotes HERE. Each life insurance company looks at your risk differently. The key is finding the companies who look at your situation the most favorably and then seeing who will give you the lowest rates. The most common mistake is picking the cheapest life insurance quote and then not qualifying for it. We paint your risk in the most favorable light to an underwriter. Underwriting life insurance is an art most life insurance agents grossly undervalue. One agent could obtain a "Standard" rating from XYZ life insurance for $75/mo. while we might be able to obtain a "Preferred" rating from the same company for $45/mo. All because we took the extra time to give the underwriter more information and context to a case - something 95% of agents won't do for you. Instead of an underwriter looking at your medical records and medical exam like every other risk that comes through, we draft a cover letter that focuses on providing favorable information that's not included on the application (exercise regime, healthy eating etc). This is especially important if you have any health impairments. Also included in the cover letter is why you're purchasing this coverage. Underwriters LOVE reading these cover letters. It gives them an emotional attachment and is extremely helpful in obtaining favorable decisions. We interactively show you our computer screen (we send you a link, no download needed) so you can see for yourself all the top rated life insurance carriers on the market, the different types of life insurance you qualify for and see how they stack up against each other. We can answer any questions while we're viewing the comparison together. If you don't have access to a computer when we speak, we'll send you a recorded video of your rates and explain our recommendation. You'll still be able to see ALL your options. We believe there isn't enough transparency when searching for term life insurance rates online. That's why we decided to do things differently and give consumers the peace of mind of knowing they're obtaining the most affordable life insurance rates. We find our clients the best life insurance rates available. At our core, we're a small business that helps families. We're not a big call center and we aren't owned by any insurance companies. We work on behalf of YOU to find the cheapest term life insurance rates available for your risk. At Termlife360 we treat you as family. We'll never use those high pressure sales tactics other online agencies use and we'll never spam your e-mail inbox. All we do here is listen to what you're trying to accomplish and make the most affordable life insurance recommendations. We'll provide all the information you need to make an informed decision. Then it's up to you. So be yourselves with us and don't sugarcoat any health issues. We're on your side. We're not held to corporate guidelines of doing what's best for bottom line or limited to sell a specific life insurance carrier. We recommend the life insurance company is best for YOU. In other words, we work for you and not the insurance company.